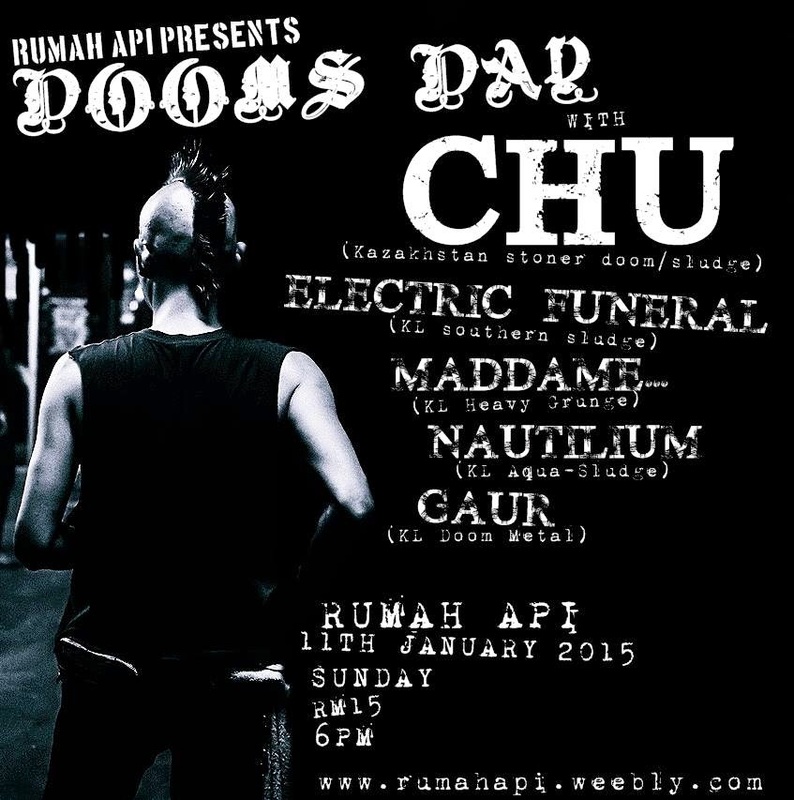 RUMAH API presents DOOMS DAY with CHU (Kazakhstan Stoner Doom/Sludge), ELECTRIC FUNERAL (KL Southern Sludge), MADDAME... (KL Heavy Grunge), NAUTILIUM (KL Agua-Sludge) and GAUR (KL Doom Metal). Venue: Rumah Api, Ampang. Date: 11th January 2015 (Sunday), Ticket: RM15. Time: 6pm. Info: www.rumahapi.weebly.com.